This volume is the first to address the culture of the German Democratic Republic (GDR) as a historical entity, but also to trace the afterlife of East Germany in the decades since the fall of the Berlin Wall. An international team of outstanding scholars offers essential and thought-provoking essays, combining a chronological and genre-based overview from the beginning of the GDR in 1949 to the unification in 1990 and beyond, with in-depth analysis of individual works. A final chapter traces the resonance of the GDR in the years since its demise and analyses the fascination it engenders. 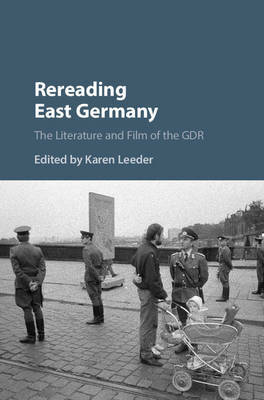 The volume provides a 'rereading' of East Germany and its legacy as a cultural phenomenon free from the prejudices that prevailed while it existed, offering English translations throughout, a guide to further reading and a chronology.